Mencius (/ˈmɛnʃiəs/) or Mengzi (Chinese: 孟子; 372 – 289 BC; alt. 385 – 303/302 BC) was a Chinese philosopher who is the most famous Confucian after Confucius himself. Mencius, also known by his birth name Meng Ke or Meng Ko (孟轲), was born in the State of Zou, now forming the territory of the county-level city of Zoucheng (originally Zouxian), Shandong province, only thirty kilometres (eighteen miles) south of Qufu, Confucius' birthplace. He was an itinerant Chinese philosopher and sage, and one of the principal interpreters of Confucianism. Supposedly, he was a pupil of Confucius' grandson, Zisi. Like Confucius, according to legend, he travelled throughout China for forty years to offer advice to rulers for reform. During the Warring States period (403–221 BC), Mencius served as an official and scholar at the Jixia Academy in the State of Qi (1046 BC to 221 BC) from 319 to 312 BC. He expressed his filial devotion when he took three years leave of absence from his official duties for Qi to mourn his mother's death. Disappointed at his failure to effect changes in his contemporary world, he retired from public life. Mencius is buried in the "Mencius Cemetery" (孟子林, Mengzi Lin, also known as 亚圣林, Yasheng Lin), which is located 12 km to the northeast of Zoucheng's central urban area. A stele carried by a giant stone tortoise and crowned with dragons stands in front of his grave. Mencius's mother is often held up as an exemplary female figure in Chinese culture. One of the most famous traditional Chinese four-character idioms is 孟母三遷 (mèng mǔ sān qiān; literal translation: "Mencius's mother, three moves"). This saying refers to the legend that Mencius's mother moved houses three times before finding a location that she felt was suitable for the child's upbringing. As an expression, the idiom refers to the importance of finding the proper environment for raising children. Mencius's father died when he was very young. His mother Zhǎng (仉) raised her son alone. They were very poor. At first they lived by a cemetery, where the mother found her son imitating the paid mourners in funeral processions. Therefore, the mother decided to move. The next house was near a market in the town. There the boy began to imitate the cries of merchants (merchants were despised in early China). So the mother moved to a house next to a school. Inspired by the scholars and students, Mencius began to study. His mother decided to remain, and Mencius became a scholar. She is one of 125 women of which biographies have been included in the Lienü zhuan, written by Liu Xiang. Mencius' descendants lived in Zoucheng in the Mencius Family Mansion, where the Mencius Temple was also built and also a cemetery for Mencius' descendants. During the Ming dynasty, one of Mencius' descendants was given a hereditary title at the Hanlin Academy by the Emperor. The title they held was Wujing Boshi (五经博士; 五經博士; Wǔjīng Bóshì). In 1452 Wujing Boshi was bestowed upon the offspring of Mengzi-Meng Xiwen 孟希文 56th generation and Yan Hui-Yan Xihui 顔希惠 59th generation, the same was bestowed on the offspring of Zhou Dunyi-Zhou Mian 週冕 12th generation, the two Cheng brothers (Cheng Hao and Cheng Yi-Chen Keren 程克仁 17th generation), Zhu Xi-Zhu Ting 朱梴 (Zhu Chan?) 9th generation, in 1456-1457, in 1539 the same was awarded to Zeng Can's offspring-Zeng Zhicui 曾質粹 60th generation, in 1622 the offspring of Zhang Zai received the title and in 1630 the offspring of Shao Yong. One of Mencius's direct descendants was Dr. Meng Chih (Anglicised as Dr. Paul Chih Meng) former director of China House, and director of the China Institute in 1944. Time magazine reported Dr. Meng's age that year as 44. Dr. Meng died in Arizona in 1990 at the age of 90. North Carolina's Davidson College and Columbia University were his alma mater. He was attending a speech along with Confucius descendant H. H. Kung. The descendants of Mencius still use generation poems for their names given to them by the Ming and Qing Emperors along with the descendants of the other Four Sages 四氏. Confucius, Zengzi, and Yan Hui. Historical sites related to his descendants include the Meng family mansion 孟府, Temple of Mencius 孟廟, and Cemetery of Mencius 孟林. 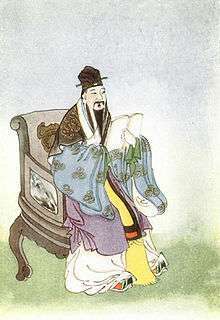 Mencius's interpretation of Confucianism has generally been considered the orthodox version by subsequent Chinese philosophers, especially by the Neo-Confucians of the Song dynasty. Mencius's disciples included a large number of feudal lords, and he was actually more influential than Confucius had been. The Mencius (also spelled Mengzi or Meng-tzu), a book of his conversations with kings of the time, is one of the Four Books that Zhu Xi grouped as the core of orthodox Neo-Confucian thought. In contrast to the sayings of Confucius, which are short and self-contained, the Mencius consists of long dialogues, including arguments, with extensive prose. His translator James Legge finds a close similarity between Mencius's views on human nature and those in Bishop Butler's Sermons on Human Nature. According to Mencius, education must awaken the innate abilities of the human mind. He denounced memorization and advocated active interrogation of the text, saying, "One who believes all of a book would be better off without books" (尽信书，则不如无书, from 孟子.尽心下). One should check for internal consistency by comparing sections and debate the probability of factual accounts by comparing them with experience. Mencius's argument that unjust rulers may be overthrown is reminiscent of Socrates' argument in Book I of Plato's Republic. ↑ The original clan name was Mengsun (孟孫), and was shortened into Meng (孟). It is unknown whether this occurred before or after Mencius's death. ↑ Traditionally, his courtesy name was assumed to be Ziche (子車), sometimes incorrectly written as Ziyu (子輿) or Ziju (子居), but recent scholarly works show that these courtesy names appeared in the 3rd century AD and apply to another historical figure named Meng Ke who also lived in Chinese antiquity and was mistaken for Mencius. ↑ That is, the second sage after Confucius. Name given in 1530 by the Jiajing Emperor. In the two centuries before 1530, the posthumous name was "The Second Sage Duke of Zou" (鄒國亞聖公) which is still the name that can be seen carved in the Mencius ancestral temple in Zoucheng. ↑ Shun, Kwong Loi. "Mencius". The Stanford Encyclopedia of Philosophy. Retrieved 19 September 2012. ↑ H.S. Brunnert; V.V. Hagelstrom (15 April 2013). Present Day Political Organization of China. Routledge. pp. 494–. ISBN 978-1-135-79795-9. ↑ "Paul Chih Meng, 90, Headed China Institute". The New York Times. 7 February 1990. ↑ "Education: China House". TIME. Sep 4, 1944. Retrieved May 22, 2011. ↑ The Mencius 1B:8 in Chan 1963: 62. Liu, Xiusheng and Ivanhoe, Philip J. (eds. ), 2002, Essays on the Moral Philosophy of Mengzi, Indianapolis: Hackett Publishing.